Competition new boys Mt Druitt Town Rangers are not just making up the numbers in the National Premier Leagues NSW Men’s competition. That’s the message from head coach Aidan Desmond who believes his team can challenge the competition’s favourites and even be a finals contender. The Rangers romped to the 2018 NPL 2 NSW Men’s Premiership finishing 16 points ahead of their nearest rival. However, it won’t be that easy this season as they make up a step up in class to the NPL NSW Men’s top tier competition. “We’ve worked on a style of football which would help us achieve long term success not just winning NPL 2,” Desmond said. “We want to play a good attacking brand of football and win games. Mt Druitt boast a strong squad across the board and features a number of experienced NPL stars sure to carry the load. Veteran NPL Victoria midfielder Blake Thompson is expected to hold down the midfield for Desmond’s side after signing from Bentleigh Greens. Joining him will be mercurial midfielder Toufic Alameddine who has made the move west from Rockdale City Suns. Former Sutherland duo Adrian Vranic and Felipe Zapata will provide both youth and enthusiasm for Desmond upfront and in the middle of the park. The club has also brought in Uruguayan striker Fabrizio Fernandez who will carry a lot of the goal scoring workload this campaign. Desmond indicated he was happy with his off-season recruitment saying he believes his mix of local youth and experienced veterans would be the perfect mix.  “We have retained quite a number of players from our NPL 2 season as well as promoting from the club’s youth side,” he said. “The players we have brought in we wanted to be tried and tested at this level which I feel we have done. One player returning from last season is shot stopper Carlos Saliadarre who is no stranger to the NPL NSW top tier competition. Saliadarre was Blacktown Spartans’ captain for many seasons during their time in the NSW top flight and will be determined to make his second stint in the competition a successful one. While club captain Mathew Clowes will also be ready to go at the Rangers’ spiritual ground, namely Popondetta Park. While the club enters the final stages of the preseason preparations, Desmond said there is big expectations in what is set to be a historic year for the Rangers. “Earning promotion to NPL 1 is the culmination of a long term project at the club and now the responsibility is on us to make the most of this chance,” he said. “Everyone we have signed is here to win and achieve success. Mt Druitt Rangers open their season with a trip to staunch local rivals Blacktown City in what promises to be a cracker of a match on Sunday March 10.